14 and Under - $30, Under 5 free. Midday till 3pm. 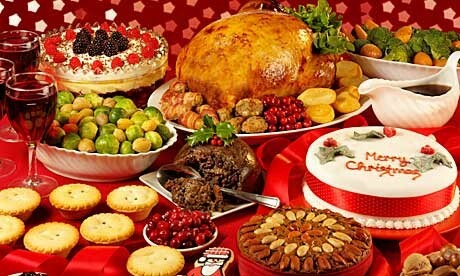 Join us for our massive 3 course buffet on the jolliest day of the year. Imagine no dishes, no fuss, just smiles. First course includes a seafood based buffet, Second course is a traditionally styled main course with a huge range of salads, meats and other goodies. Dessert is the last course with heaps of choices including a ginger bread house. Make sure you book early as this sells out every year. Lots of options for gluten free and vegetarians.